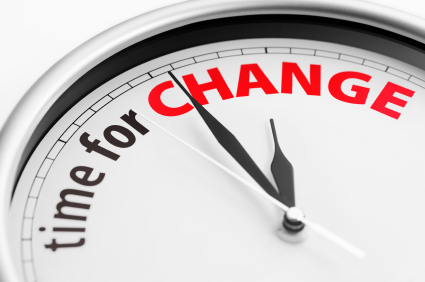 Like many of us, I often make grand claims that revolve around needing to make a change! Whether it be cutting back on chocolate (not likely), visiting the gym more often, or taking up that new hobby I’ve always wanted to try out. I am constantly able to identify changes or improvements that I’d like to make in my life. When clients work with Incite, they too are looking to make changes. They’ve decided that there are areas of their business that require improvement. They understand that proactive thinking and a readiness to move forward solidifies a strong result down the road. The extent to which clients are open to taking this step varies, with some being more open to change and others being more resistant. No matter how open they are to the idea of change, taking that next important to step of putting it into action can be daunting. Why is change so hard? And harder still for many of us? Change can be hard for many reasons. It challenges the way that we currently do things, it pushes us out of our comfort zone, and it forces us to embark on an adventure into unknown (or lesser known) territory. It takes us out of the comfortable “what if” space and forces us to put our ideas into action. The logical part of our brain tells us that change is inevitable. We are constantly adapting, learning, and seeking out new experiences – sometimes, if we are lucky, every day. Even still, knowing it’s necessary and unavoidable, how can we better adapt to it? Anyone can develop an openness to change, and it starts with how you think. A fear of failing for example can instead be viewed as an opportunity to learn. If something doesn’t go as planned, it’s what you do next that counts. What did you learn from the experience? What will you do differently next time? If you take failure out of the equation, openness to learning, growing, and getting to a better place is left. It’s how you adapt, and shift your thinking to adjust to new possibilities. Learn from these challenges and continue to seek out new experiences. Every day is an opportunity to learn and it all starts with how you think.